31 Projects for CBI Design Professionals, Inc.
15 Reviews for CBI Design Professionals, Inc.
After parting ways with a design build team who could not provide us but we were looking for after several months, we hired CBI design and Rob Clarke. After speaking to Rob on the phone and having him look at the property, within two weeks, he came up with the perfect fan shaped design for our house to capture views of both bodies of water. We were very pleased with the ingenious design and then proceeded to par it down to make it more practical. The CBI team is very professional and easy to work with. They also worked very well with our builder. We are very pleased with the outcome. 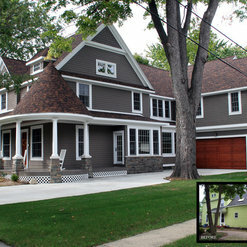 About 15 years ago we decided to hire CBI Designs to help us renovate our old English Tudor in Michigan. It was an outstanding experience in more ways than one. The work didn't only impress us, but it also impressed HOUR Detroit Magazine as it won an award for its renovations. This positive experience has led us together in many more projects. After our home, I hired them to help me design my first boutique in St. Clair, Michigan. We took a horrible old gas station and turned it into a beautiful, historical icon which became a destination boutique. Five years later, I employed them again to help me with my second boutique in Lake Orion, Michigan. I love working with Rob, as he listens to me and I know he can help to create my vision. When I opened my third boutique 4 hours away from CBI Design, I decided to try to work with another architectural firm which was closer to the new project. That didn't last very long as I realized that this firm would never see my vision or accept my creativity. I invited Rob and his team to help me once again with my third boutique and NEW wine pub in Cheboygan, Michigan. It is stunning and it is because of CBI Design. This project was completed in July of 2018. We are now working on a multi-use facility which will house 3 apartments, a lounge, a chocolate shoppe, a small 50-seat musical theater and the first Stormy Kromer store in the USA. It was without a doubt that I asked CBI Design to help me with this project. If you are looking for someone with creativity, talent and the ability to listen to your needs, then I highly, highly recommend CBI Designs. We have always enjoyed working with the entire team at CBI Design Professionals, Inc. and appreciate the strong relationship we have built collaborating on various projects together. As a custom cabinetry company, we really appreciate the understanding they have of cabinet construction and design and it makes working together a smooth and easy process. It is this understanding that also allows us the ability to share in the overall vision of each project and ensure its successful completion. CBI’s professionalism, design knowledge and strong communication are a few of the key reasons why we would recommend them to any client and why we love working with them every opportunity we are given. 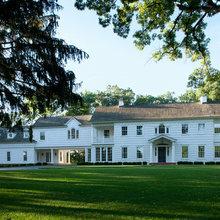 We restored and expanded a 1920s Tudor. 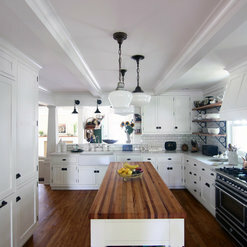 We hired CBI to design a kitchen and garage addition, as well as updates to the original home. CBI did a great job blending the new additions with the original parts of the home. Additionally, there were a few complex issues the cropped up during the restoration process and CBI was always on top of it with a solution. CBI was also very easy to work with - they were flexible on many decisions, but also firm and guiding when it came to more important architectural principals. CBI's rapport and understanding of the issues our builder faced was also helpful in making the project a success. I highly recommend these folks! 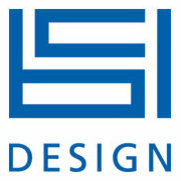 We work often with CBI Design Professionals. They are very thorough, responsive, and a great architecture firm to team up with for remodeling projects and new homes! We regularly refer anyone in need of an architect to CBI and highly recommend them. We have consulted with CBI twice- first when we were considering renovating our home, and a few years later when we brought them in to consult on a new home we were building. Rob and his staff are experienced professionals- very responsive and customer service oriented- a true pleasure to work with! 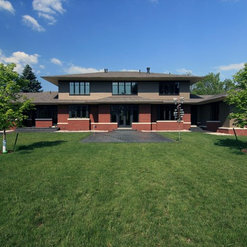 We are a high end building company that specializes in custom and intricately detailed builds. Rob and his team are unparalleled in their field. They are creative, organized, budget conscience and very intuitive when it comes to taking care of our clients. CBI stays involved throughout the process and is a key partner in the field. We highly recommend! Thank you for the kind words! It has been great to work with you and your company! 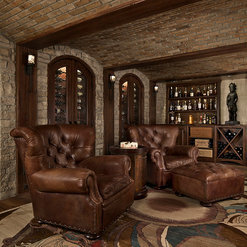 Working with the CBI Design Professionals, Inc team on many projects has been fantastic. Rob Clarke and his team definitely put a first class touch on their projects with exceptional architecture and experienced management. I'm looking forward to working together for many years to come. CBI Design listened to the client's request for the overall vision of the space and successfully designed it. They worked great with my building team and responded promptly when needed. Very impressed with CBI's knowledge and flexibility to help complete a truly unique space with character and charm. The space truly is one of a kind, as is the client. As a general contractor and builder, I have had the opportunity to work with many different architects. I consider Rob Clarke and his team it be at the top of their profession. 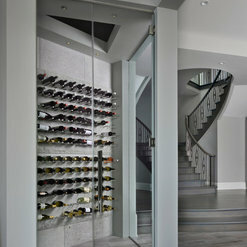 His vision, design capability, and keen attention to detail are second to none. Unlike many architectural plans that I have worked from that were merely suggestions, CBI plan designs and construction plan detail are the best in the industry. This attention to detail translates into greater efficiency in the building process and a superior final product for the client. When my daughter purchased a new home in the historic district of a local small town, we chose Rob and his CBI team over many others I have worked with, to redesign her home into a Victorian classic. I believe this is the ultimate testimonial of my high regard for Rob and his team. I do not hesitate to recommend Rob and the CBI team to anyone seeking a creative and quality conscious architectural firm. Thank you Rick for your kind words and review! Kramer Building is a great company to work with and we hope to have many future projects with you and your company. 3 Ideabooks for CBI Design Professionals, Inc. Commented: Can you tell the source and name of the round lights in locker area?Thanks for your interest in our work. This little space has turned out very nicely. Unfortunately the owner selected this specific fixture and we do not have any data on it in the file. Commented: Feet ?This cabinet was fully custom and the decorative base was made by the cabinet maker.